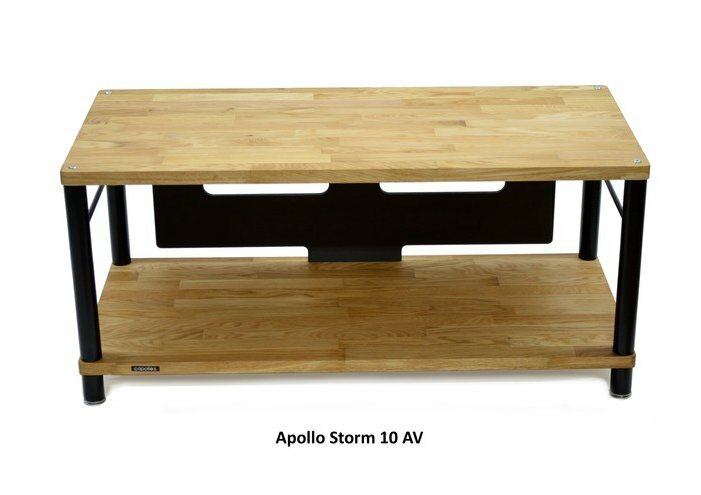 The Apollo Storm 10 solid Oak double width AV support features a cable management panel to hide unsightly cables, glider feet allowing the unit to easily be moved, and a generous 365mm (14.4”) inner height capacity to help accommodate multiple pieces of AV equipment. Should more storage be required, standard Apollo Storm 10 modular shelving can easily be added (up to four extra levels). 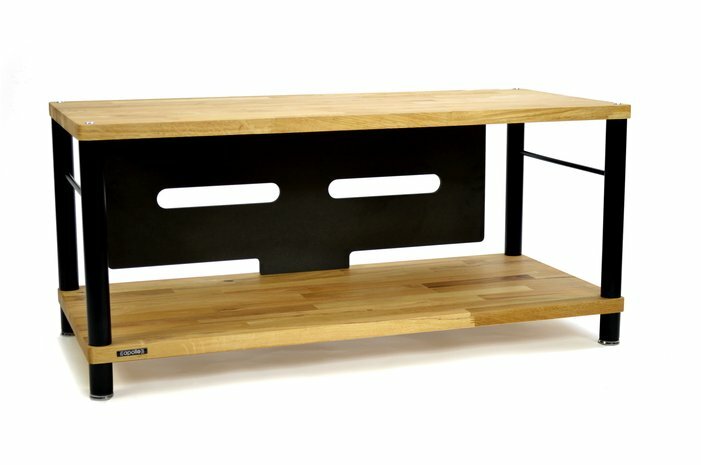 Please note: - Oak is a natural material, so block colour variation, knots and grain texture is part of the intrinsic beauty of this AV support. Every cabinet is aesthetically unique and will darken over time as part of the woods ageing process, especially if exposed to sunlight. This difference will be enhanced should you add new extra shelving later, so where possible purchase your Apollo Storm 10 AV with extra shelving as a complete matched set while considering your future storage requirements. 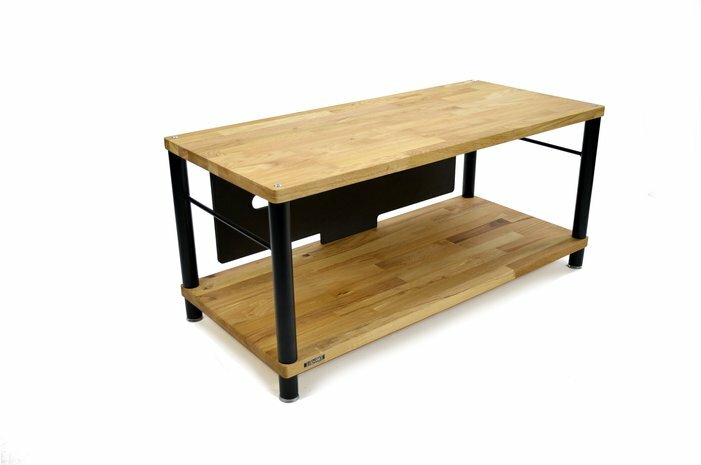 Weight Capacity 35KG per shelf. 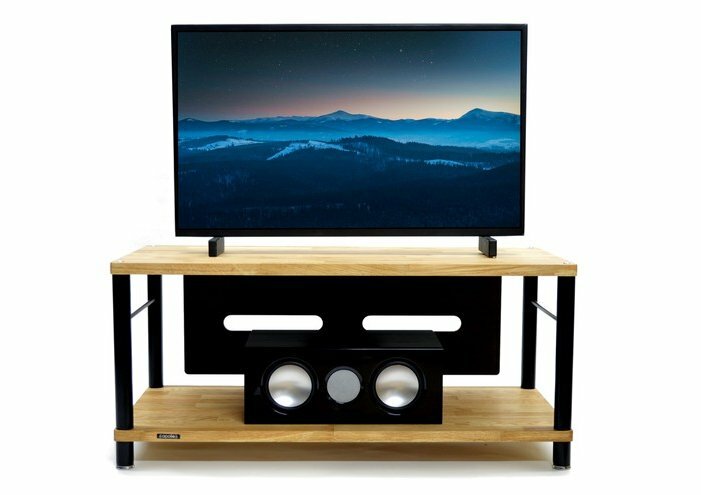 AVF Buckingham FS1400BUCO Oak TV Stand for up to 65"